Not every reason your car won’t start is obvious. There are a lot of issues that no one talks about. In this article, we will be focusing more on the ways a locksmith will be able to help you when your car won’t start. The issue could have to do with your ignition cylinders or with the keys themselves. You may need some form of car key replacement services in order to get your car working again. Turn your car key in the ignition. Observe what lights come on. Listen for any sounds that are made. Use a second key (if possible) to see if this issue persists. See if there is a change or not. The information you get from this process will give you some insight as to why your car won’t start. It will lay the groundwork from what you investigate next and how to investigate it. This is a good starting point. It is not going to give you everything you need to know, but it will allow you to navigate the types of issues you may be facing so you can find the best solutions for why your car won’t start. There are many things that could be responsible for why your car won’t start. Your car battery could be dead. Your engine might have some form of vapor lock. However, we are going to focus on some of the commonly overlooked reasons your car won’t start. These are issues that you may be experiencing, and that a locksmith can help you solve. Problems with a car’s ignition switch could be the reason that your car won’t start. This can often disguise itself as an issue with the car battery. But you can save quite a bit of time and money by using your headlights to check to see if the root cause of why your car won’t start is actually because of a faulty ignition switch. Headlights can be turned on without the proper keys inserted and without the car being on. If these lights are coming on, but the dashboard lights are not, it is a good indication that the battery is alive and well. You may need to undergo a full ignition switch replacement, or there could be an issue with wiring that could address the reason your car won’t start. 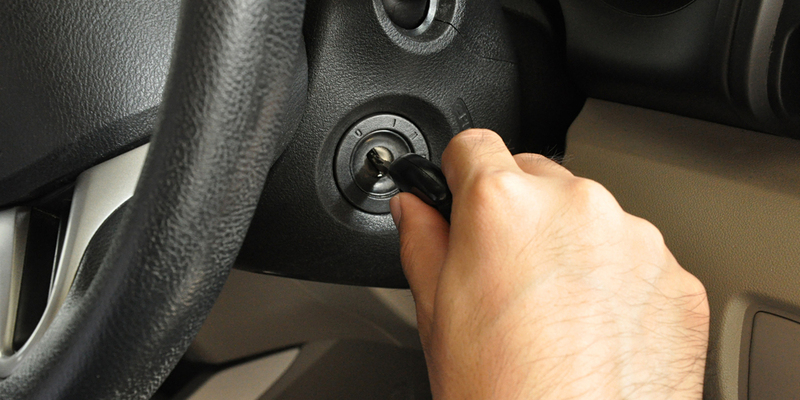 The ignition switch needs to be connected to the battery in order to work properly, and sometimes these connections can be undone due to manufacturing errors. If you are replacing your ignition switch after you have already changed your battery, be aware that you may encounter further issues with the car starting. (More on this in the “Invalid Signaling” section). This will only affect physical keys that are inserted into ignition cylinders. Due to the lifespan of a car, there is a high chance that your car key will wear down over time. This is not a common cause that people will consider when a car won’t start. This is an issue that is rather difficult to troubleshoot without a rarely used spare key. This is just another reason to have a spare car key. With a spare key, you can insert the spare (which has not been used nearly as frequently as your everyday key) and see if the car will turn over. If you use a relatively unused spare key, and even then the car won’t start, you will know it is not an issue of having a worn car key. When you do not have a spare key, you can try your key in the door or trunk locks. Be sure not to lock every door to your car before trying this, because you might find lock yourself out of the car. This will disguise itself as something like an ignition switch complication, as your headlights will work, but your car will still not turn over. The reason that a worn key is not working is that the grooves have changed shapes and depths due to repeated use. This is natural wear, which makes the key interact improperly with the lock cylinders. The solution is to use the same methods of replacing lost or stolen car keys. You can have keys made on a key cutter that allows a locksmith to make a new key by code. It will evoke the full cost of car key duplication, but it is likely the be the simplest fix. As mentioned in the “Worn Key” section, when your car won’t start, you should check to see if your key works in the door locks and not the ignition cylinder. If your key works in the door locks and not the ignition, and you know there is not an issue with the ignition switch, there is a chance that the ignition cylinder has worn out. A good indication that you may need ignition cylinder replacement is if the car had had many keys and is quite old. It is likely that the key will wear out faster than the cylinder, but the cylinder can wear down. You might be able to salvage your current ignition cylinder by rekeying your car ignition. This will reduce costs that will often compound around programming new keys, cutting new keys, and even replacing door lock cylinders. It is important that you have a professional assess your situation because issues that seem to revolve around ignition cylinders can actually have to do with key problems. These problems revolve around the car key sending the wrong/no signals to your car’s computer. It is difficult to find out if this is the reason your car won’t start, without more experienced eyes observing the situation. There are several cars that will invalidate all existing car keys once the battery is changed. You might also have issues when you make new keys. (This is one of the dangers of aftermarket electronic car keys.) Transponder chips and electronic keys can also become damaged without any visible sign that the key should not be working. If you got a new car key recently, you may not have known that you needed to have some form of transponder key programming. All of these things can cause a problem with how your car key is signaling the onboard computer or transceiver of the vehicle. The solution to all of these issues is to find the right locksmith. You should be looking for a locksmith that specializes in auto locksmithing. They need to have programming and key cutting machines, and some way to access your car’s diagnostic port to interact with the vehicle’s onboard computer. The process you need might not be as simple as duplicating car keys. For example, you may need existing keys to be invalidated for security reasons. And because this is a signaling issue, it is important that they have the ability to fully replace a car key or remote. With modern cars, more and more people are having issues where they press the ignition button on a keyless start system, and the car won’t start. Most likely this is just a battery issue. If it is as simple as a dead battery in your key fob, then chances are you will not even need a locksmith. You can likely just change the battery on your remote, and this will not be as extreme as key fob replacement. If you do not have a spare car key or do not have access to a proper battery replacement, you are going to have a hard time getting a replacement. It is unlikely that you are going to find the type of battery your key fob uses just lying among a common battery stockpile. These batteries are not used in a wide range of products, and the exact size and amperage of car key fob batteries will even vary from auto manufacturer to auto manufacturer. This is all to say, that you might need to call for help if you cannot walk to a store that sells non-standard batteries. This issue is very simple to diagnose because having a keyless ignition limits the number of issues you are likely to encounter. There are many potential reasons that a car won’t start. Now you know a few more things that you can investigate in order to solve your issue and get yourself back on the road. Start by doing some basic troubleshooting. Then look into the more specific issues that you could be facing. 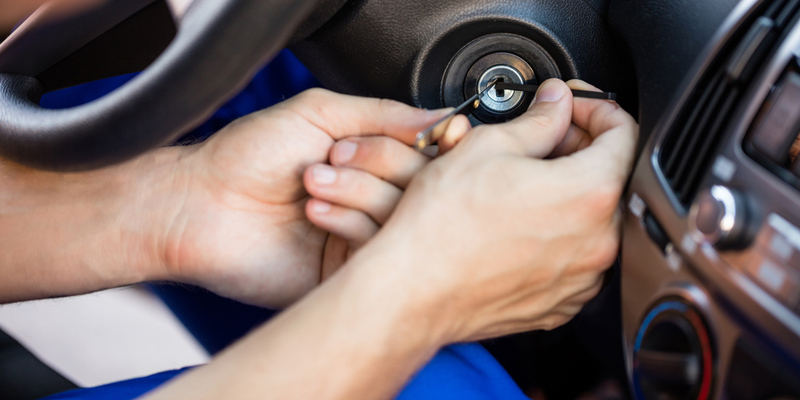 Reach out to a locksmith if you are having trouble fixing any car key or ignition problems. And if you need help finding out what the issue is, you can also get the insight of a local locksmith. Be sure to look into every possible issue, and don’t give up until you can start your car again.